Over the last few years, the production of small cars, like Cuore and Alto, has considerably declined in the country. The main reason why small cars industry is dying in Pakistan is the flourishing market of Japanese used cars. Latest models, which might be just a couple of years old, are imported and sold to keen potential buyers. Therefore, cars like Daihatsu Mira, Toyota Prius and Toyota Vitz have replaced small hatchbacks in the currently existing auto market. The following discussion throws light on some of the biggest reasons why Japanese used cars are gaining more popularity in the country. Since the cars are second-hand, they cost less than their original price. Even after the expenditure of importing and shipping, the final cost of the cars lies within an affordable budget. Pakistanis are now able to enjoy top-notch recent models without having to spend extravagantly. Brand new hatchbacks used to cost a large sum of money. In comparison, people can now get the possession of larger vehicles—Sedans and APVs—at almost the same price. Why would one go for a small Suzuki Alto when the luxurious Honda Airwave is also available at an affordable cost? The latter would be the most obvious choice. This is the actual scenario in the market today as buyers prefer larger used vehicles over the brand new small cars which are more expensive. When vehicles like Daihatsu’s Mira and Toyota’s Passo first began to appear on the roads of Pakistan, the onlookers were awed by their uniqueness and high appeal. For years, Santro, Cuore and Alto have dominated the roads. However, now they have lost their charm in comparison to these imported beauties. Buyers prefer imported Japanese cars due to their uniqueness, new designs as well as technology which are not available in the cars manufactured by Pakistani car industry. Although these cars are second-hand, they come in a good condition—unscratched and untarnished. They look almost brand new and also perform just as if they are being used for the first time by you. Therefore, buyers get value for their money. They do not have to pay the original price, yet they are able to enjoy the cars with good condition. Therefore, these used Japanese imported vehicles are given priority. The cars are available with proper documentations. Moreover, buyers can select after a thorough examination of the vehicle. Some even take a reliable mechanic with them to the showroom that inspects the cars through his professional eye. Therefore, chances of suffering a loss are almost zero percent. You get appreciable quality in return for the money you spend. The imported Japanese cars offer technology which the car industry of Pakistan has not yet started to incorporate. Most of the imported models are automatic with power steering, power doors and windows, central lock system and other features with automatic operation. In addition, these vehicles are also environment-friendly and offer immense fuel economy. These are obvious reasons why imported cars are now being preferred. 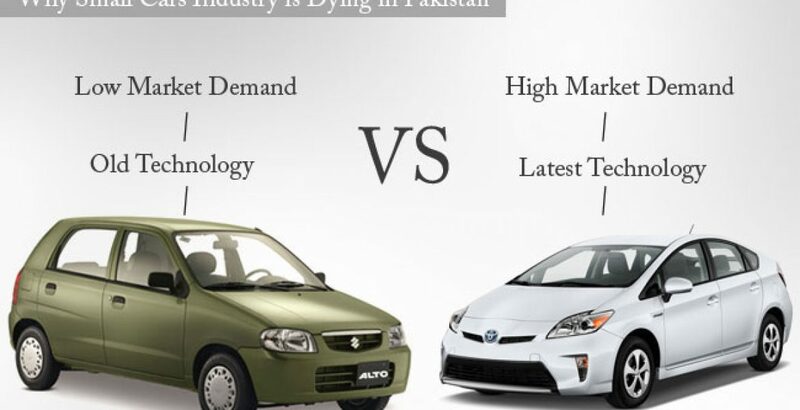 In a nutshell, affordability, uniqueness and charm, value for money and the latest technology have caused Pakistan’s industry for small vehicles to suffer a loss. The market for used imported Japanese cars is now growing rapidly as buyers prefer these wonderful vehicles for many convincing reasons.